It’s never been easier to create a second income when you choose Thorvie International. Thorvie International has 40 year of experience with helping people just like you create a second income. We provide you the availability to work flexible hours right from home. 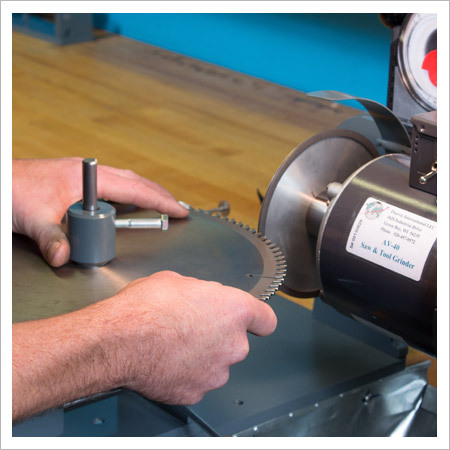 The Thorvie AV-40 saw sharpening machine complete starter package allows you to sharpen saw blades from 2″ to 30″ in diameter, router bits, raised panel sharper cutters, jointer planer knives and much more. When you purchase the Thorvie AV-40 complete starter package, you’ll get more than just high quality tool sharpening equipment. Names of companies for which you can be a distributor of new tooling such as saw blades, shaper cutters, router bits, etc. You can earn 100% profit selling new cutting tools to your customers. Preview our AV-40 saw sharpening machine video and read our customer testimonials to ensure you this business can succeed.